Shawn Tsai was born and raised in Taiwan where he received his college education. Upon arriving in the United States, he witnessed glass blowing first hand and was immediately drawn to the art form. Since then, Shawn has been faithfully perfecting his skills and developing new and innovative styles with his work. His enthusiasm for his artwork intensifies each time he sees plain glass rods being transformed into beautiful glass sculptures. 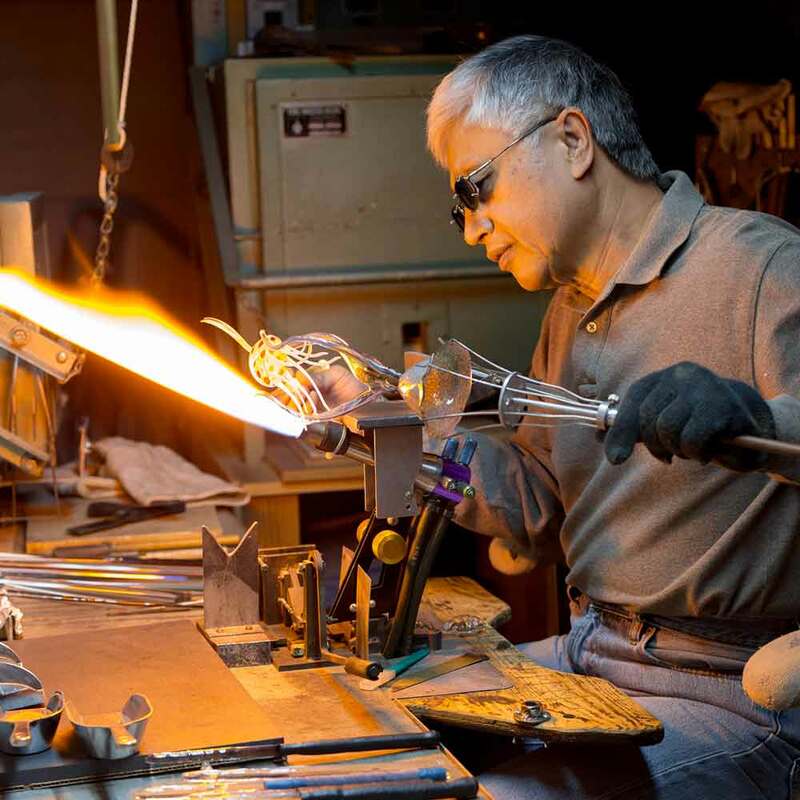 Through years of experience, Shawn has developed his own style of flameworking. Known for his meticulous attention to detail and proportions, he has won numerous awards at art shows throughout the nation. Consistent quality and excellent customer follow-up service have won him numerous loyal customers throughout the years. In his work, Shawn is most inspired by both land and marine wildlife. With flame and imagination, glass rods are transformed into unique sculptures which satisfy his desire to capture glimpses of nature.